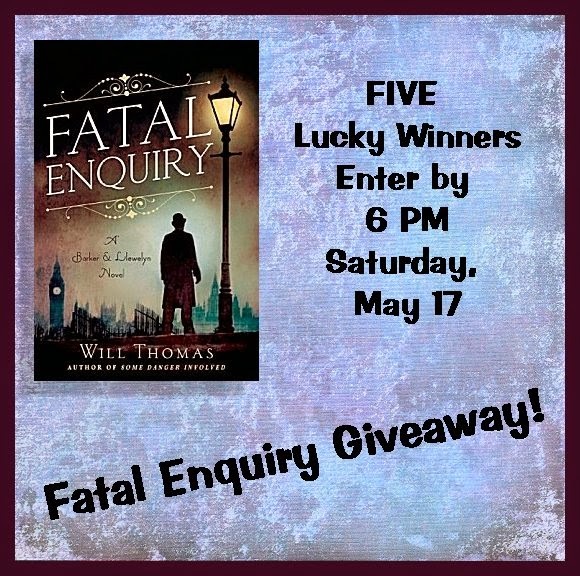 Win One of Five Copies of Will Thomas' Fatal Enquiry! 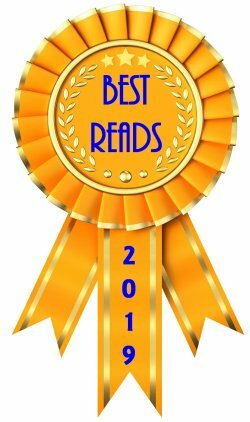 When I was contacted by a publicist for Minotaur Books about Will Thomas's latest Barker & Llewelyn mystery, I was thrilled. It had been a long eight years since the last book in this marvelous historical mystery series was published, and I couldn't wait to wrap myself in the author's Victorian London once again. When the publicist asked me if I would be interested in giving away five copies of the books to my readers, I jumped at the chance. If you'd like to know more about the book, you can find my review here on my blog (just below this post actually). 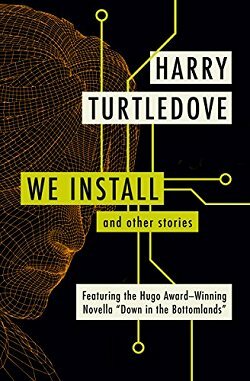 If you're new to the series, and you're not sure about starting with the sixth book, you don't have to worry. The author provides the backstory you'll need so you won't be confused as you read. 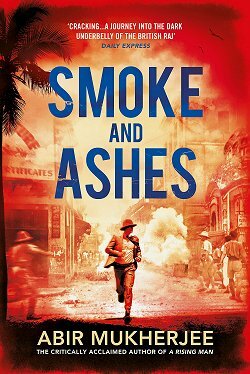 For those of you who have already read a Barker and Llewelyn adventure, I really don't have to tell you anything, do I? Let's get down to the rules for the giveaway, shall we? You have until 6 PM, this coming Saturday, May 17 to enter. One entry per person is all you need. Click on the Contact tab at the very top of my blog header to send me an email. The subject line of the email must read "Fatal Enquiry Giveaway." The body of the email must contain these two things: (a) your email address, and (b) your mailing address. Since the publisher is the one mailing out the books, this giveaway is open to US residents only. I will send each entrant a "Thanks, I got your entry!" email, so you'll know I received it. The five winners' names and mailing addresses will be sent to the publisher so the books can be sent to them. Once that's done, all entries will be destroyed. Naturally, I will also announce the winners here on my blog as well as Twitter, Facebook, and Google+. 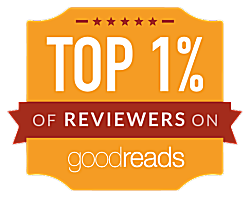 Here's your chance to read a wonderful historical mystery. Don't wait to send in your entry! Oohh, a giveaway! Thanks for offering it.